Hey guys! Probably you've already noticed that monochromatic looks are my favourites. But since the combinations are more simple we should always bet on a statement piece. For this look I added this beautiful necklace from Lady of the Rings. This Portuguese brand has amazing jewelry pieces that can make all the difference in simple outfits like this one. You should really take a look! Olá! Provavelmente já repararam que os looks monocromáticos são os meus preferidos. Mas como são combinações sempre mais simples vale a pena apostar numa 'statement piece' . Neste caso escolhi este colar lindo da Lady of the Rings. Esta marca portuguesa tem peças incríveis para quem quiser dar aquele toque especial em qualquer look. Vale mesmo a pena espreitarem! A mala é de sonho e é do Quartier Latin. Classic and so chic. Love them all. I love your look, the blazer is gorgeous, and the bag, just love it ! Having three friends sharing the same love of fashion is always cool. I am John from the United States, and I recently Followed this blog and the style of you three ladies. The blazer and jeans are lovely, and I also adore the pumps. This necklace is also very charming. Your smile and hairstyle are both lovely. Esse blaser é muito giro. Realmente muito elegante! 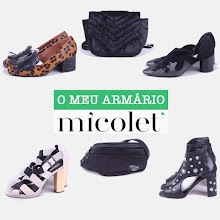 Amei e estou agora a seguir via bloglovin e gfc. preto e branco nunca falham! e o colar é realmente lindo! Adoro o look. o colar e muito bonito, a lady of the rings tem colares muito giros.